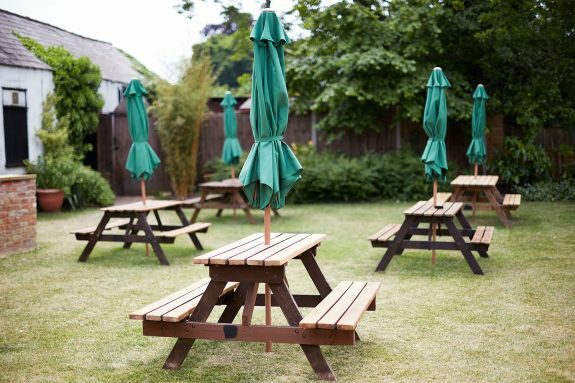 Calling all locals, your village pub invites you to make the most of the British summertime – when the sun does decide to come out! Whether you are taking a brisk walk around Bray with your family or cycling in with friends, be sure to make the most of our wonderful garden. Dogs are also welcome but please make sure they are kept on their lead whilst in our garden. Not sure where to leave your bike? We have a brand new bicycle stand available so you can lock up with ease. Then, sit back, relax and soak up the sunshine with an ice cold pint or that delicious dish you have been eyeing up on our menu. To view our summer menu, click here.